Also referred to as the “Great Time”, the chains symbolize attachment through consumption, the skulls represent the faces of death that are still to come. 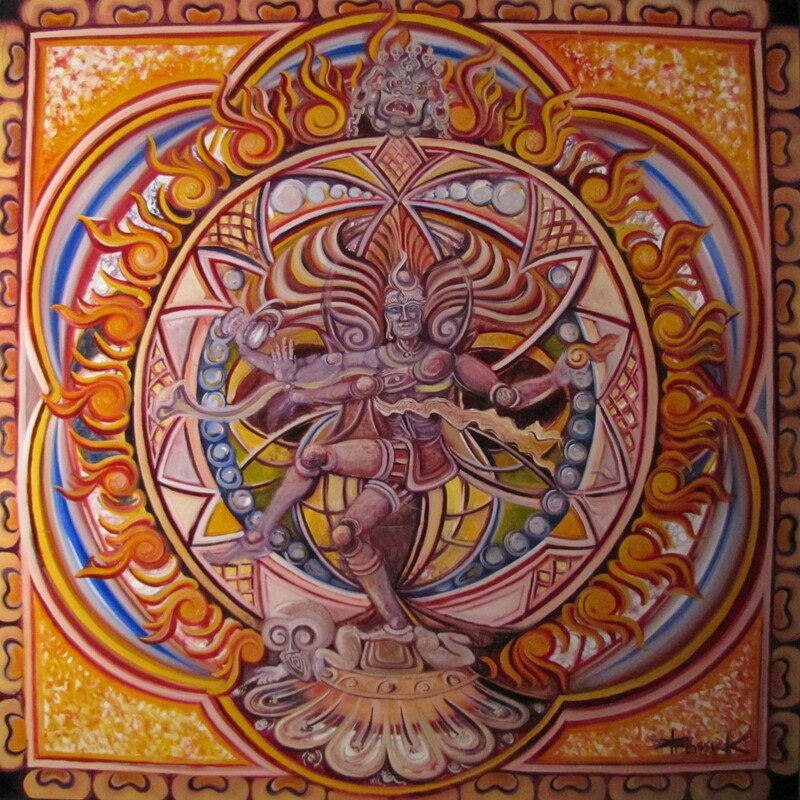 Shiva dances within the Aureole, a luminous cloud of radiance. Shiva dances along the edge between Fire and Water . . .